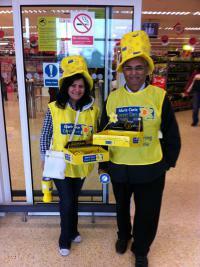 Please click on the tabs on the left to view some of our project pictures. 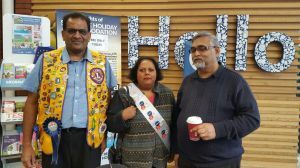 Lion President Snehlata and Lions Madhu, Dinesh and Sanjay were delight to accompany youths from Harrow Mencap on Boat trip on 18th October 2016. 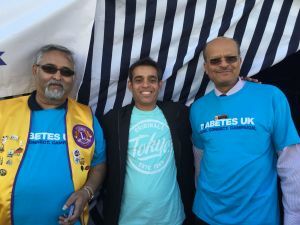 The youths had a wonderful time on a brilliant day. 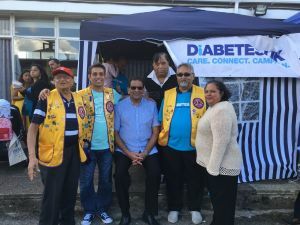 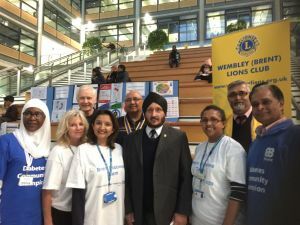 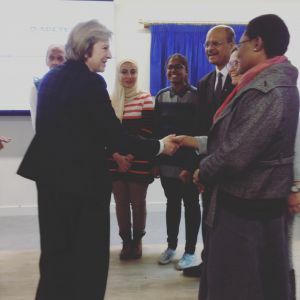 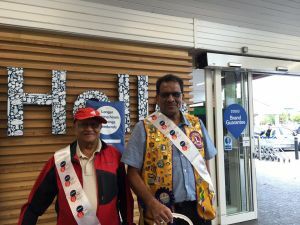 Wembley (Brent) Lions Club (WLC) was delighted to participate to bring Diabetes Awareness programme at the SKLP Meal attended by thousands of people with help from Diabetes UK. 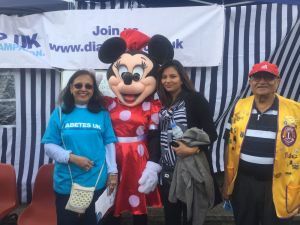 A ten minute presentation was help every 30 minutes from 10.30 am to 4.30pm by a Diabetes UK Community Champion, Lion Rohit Patel. 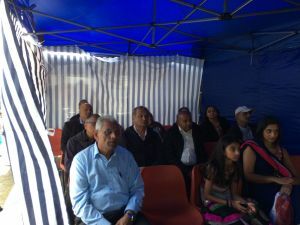 Many patrons took the opportunity to attend and get the benefit. 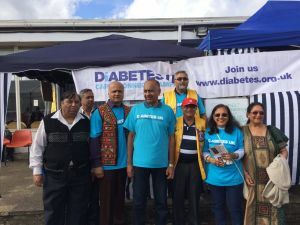 Thanks to all members and volunteers for giving up their time to manage the stall and engage with the community. 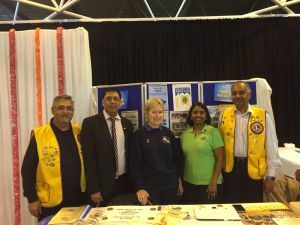 We also want to thank the SKLP for allowing WLC to have a stall. 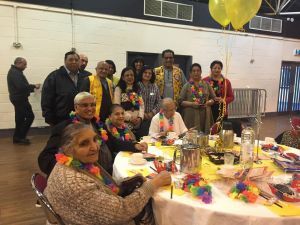 On 26th March 2016 at Moore Spice in Wembley 130 people had a brilliant evening. 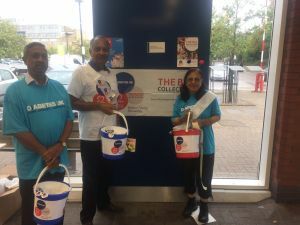 With tremendous generosity of our patrons who attended and also some who could not but supported our event by way of donations, we were able to raise £1082. 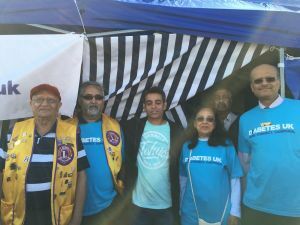 Our most gracious thanks to all of you and also to all the club members who worked hard to make this event a success. 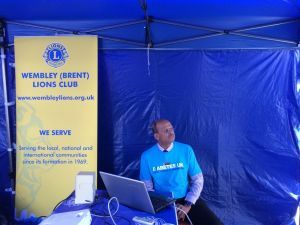 Particular thanks to Lions Pravin and Sanjay. 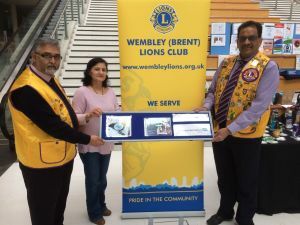 Lion President Snehlata Thancanamootoo with the district dignitaries and other guests. 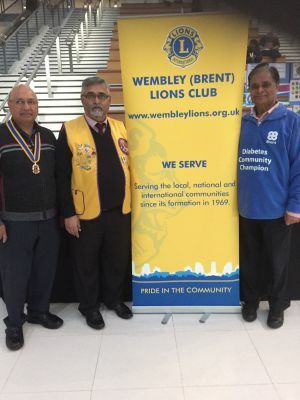 Wembley Lions and helpers with patron we entertained at this magnificent celebration party. 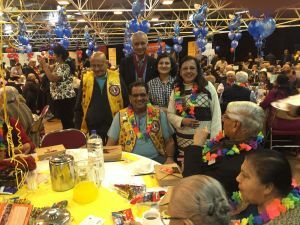 Almost 800 senior citizens from many areas far and near were entertained numerous lions clubs at Harrow Leisure Centre. 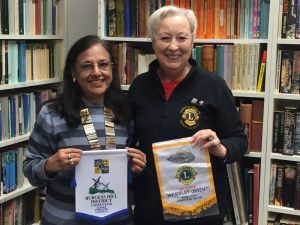 Three Cheers for all the hard work done by all LIONS. 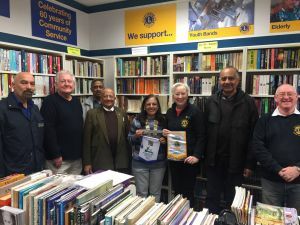 LP Shenlata and her husband Nanda together with Lions Mukesh, Rajni, Madhu dis all the hard work of collecting the books from our donor in London, putting them in the van and driving all the way to Burgess Hill District Lions Club bookshop. 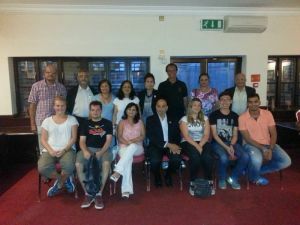 Thank you all for your hard work. 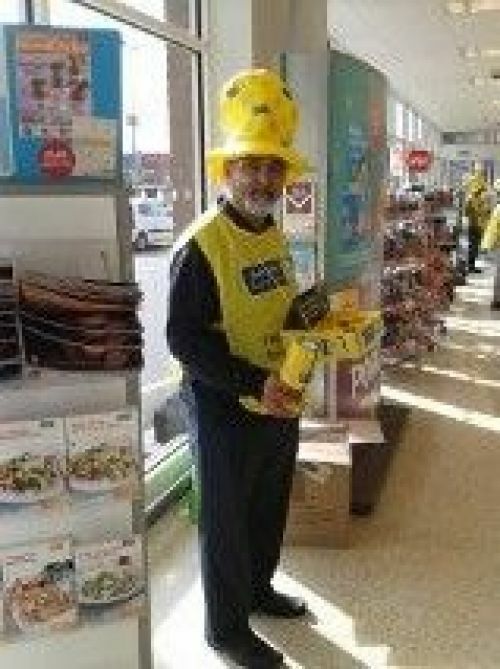 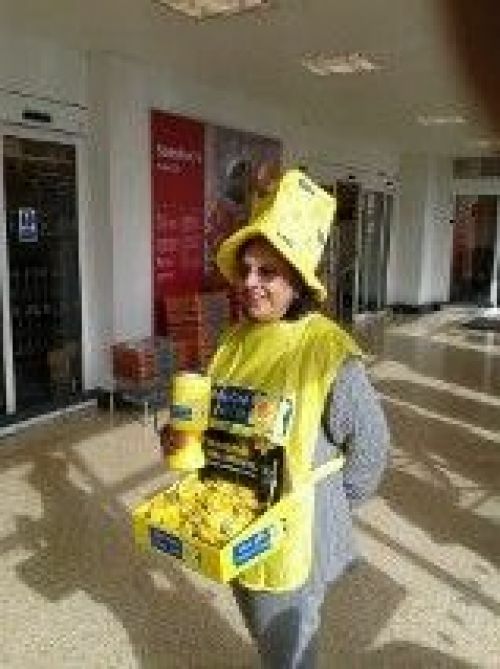 Lions helped Marie Curie national collection appeal in March 2013. 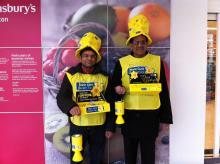 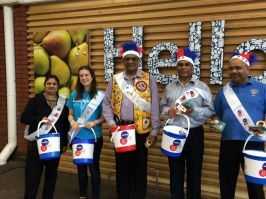 We helped raise nearly £300 from the kind generosity of Sainsbury's customers at Alperton.